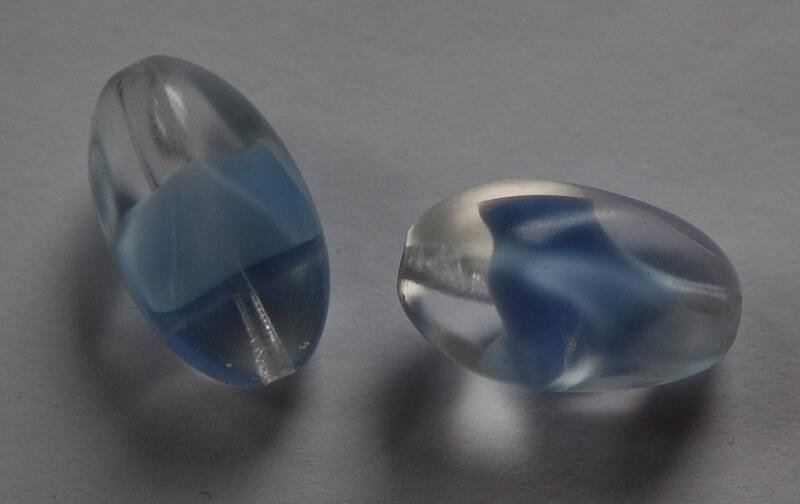 These are vintage clear beads with a blue givre center. They have sort of a pinched or slight twist detail at both ends. These measure 22mm X 13mm. You will receive 2 beads.